STOX Energy Blog - Calf pain? 4 causes and 4 solutions to prevent this now. We demand a lot from our body and it is therefore important to respond to this as well as possible so that we remain fit and healthy. It is not only with amateur athletes. Even experienced athletes sometimes have cramps in the calves due to moisture deficiency. During exercising you sweat, so you lose moisture and sodium. Sodium has an important role in muscle contractions. When your supply of fluid and sodium runs out, muscles can sometimes involuntarily contract. That is why it is important to keep drinking enough before, during and after exercising. 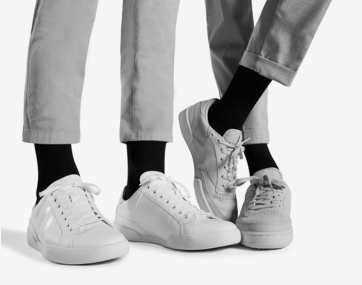 We have written before about the importance of good footwear. They provide cushioning and absorb the shocks that occur when running or jumping. In addition, they ensure the correct stability, which also prevents other injuries such as shin splints. 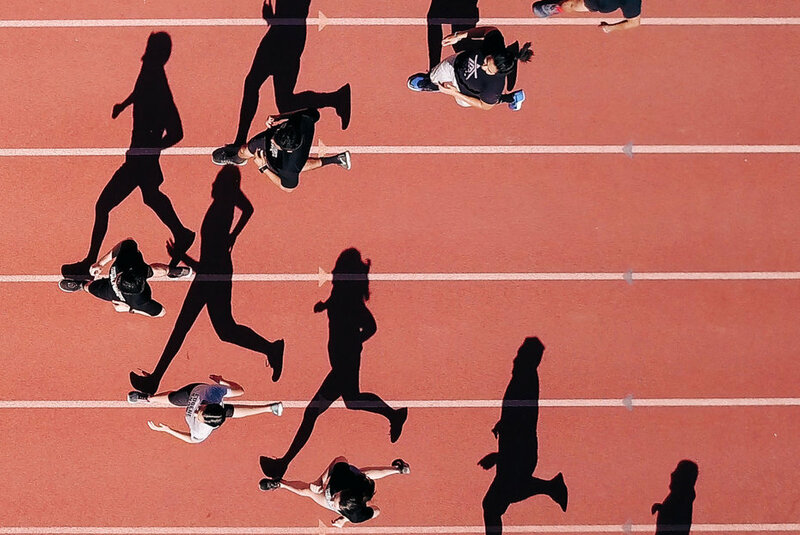 Whether it arises from enthusiasm or a certain training pressure, we often want too fast and too much. Due to a too rapid increase of training intensity your calves or other parts of your body become overloaded. This can even cause bad injuries such as whiplash. Hereby the calf muscle partially tears, resulting in acute severe pain in the calves. It literally feels like you've got a 'whip' against your calves. Hence the name. You will therefore have to stop your training immediately and rebuild it slowly. The veins in general transport the blood from the heart throughout the body and back to the heart. This prevents the blood (due to gravity) from 'falling' to the lowest point of your body. Think of your legs and feet. Poor circulation may be caused by, for example, a too long inactivity of the body, being overweight, pregnancy, smoking, age, etc. This may cause swelling or aching legs. There are ugly risks associated with the above causes of calf pain. Varicose veins, thrombosis or incurable wounds. That is why it is important to prevent this as much as possible. In addition to drinking enough water and buying the right footwear, there are a number of other things you can do to prevent aching calves. For example, it is important to exercise sufficiently. As a result, the muscles are always contracted, which improves your blood flow. Compression stockings, or better STOX Energy Socks also offer the perfect solution for calf pain. 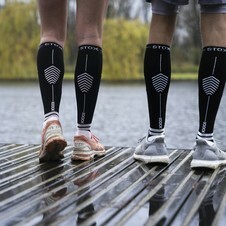 The socks from STOX Energy Socks contain the most advanced compression technology. The highest pressure (compression) is given around the foot and ankle and from there the pressure applied gradually decreases to just below the knee. This will "push" the blood back upwards. In this way an optimum blood flow is created. Additional benefits are that you have fewer problems with insomnia, less feeling that your legs are unattractive and fewer problems with mood swings or loss of concentration. Research shows that this is caused by the residual waste in the leg. STOX developed a sock for every activity in your life. 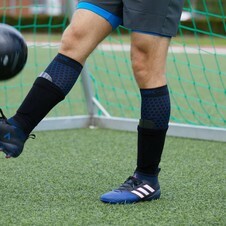 The range includes special travel socks, work socks, sport socks and recovery socks, each with its own innovative design. > STOX Energy Blog	> Calf pain? 4 causes and 4 solutions to prevent this now.